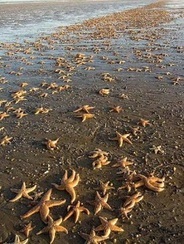 Like the story of the boy throwing starfish back into the ocean, we can’t help an entire country. 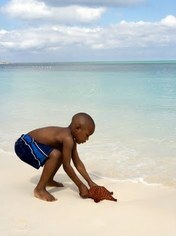 But just as he was able to help a few starfish, with RMI's unique, comprehensive strategy called the Starfish Strategy, a US church can make a lasting impact on a specific church and community in Haiti. The Starfish Strategy was born out of the desire for our C3 Partners to be able to have a much better understanding of the needs of the Haitian churches and a pathway on how to meet those needs. RMI wanted to make sure that the partnerships were having a holistic impact, both spiritual and physical. We wanted our churches to not only “talk” Jesus, but be His hands and feet as well. By following our Starfish Strategy that is unique for each partnership, you will have a wide range of involvement, engaging far more of your people than if you do basically the same thing every time you go on a short term mission trip. The strategy is comprised of three components. Second, is the over-all goal of defining the needs (the top portion of the diagram above the oval) based on the five impact points. And thirdly, we arrange those needs to form a pathway for the partnership (below the oval) to follow to be able to see progress in meeting those needs in an orderly fashion and better plan for future involvement. Evangelism and Discipleship... these first two points enable a partnership to focus on the foundational needs of the church first, which are spiritual, through evangelism and discipleship. We can help all we want, but if a person does not know Christ as their Lord and Savior, then we have done that person a great dis-service. Knowing Christ initially and then growing in that knowledge is of primary concern. However, even Christ came to help those who had physical needs as evidenced by his many miracles of feeding, healing, and provision. He understood that man is both spiritual and physical and to have an eternal impact on a person’s life often required ministry to both sides of man. Our Starfish strategy is uniquely designed to help you not only impact the spiritual but the more physical needs we have as human beings as well. Social Compassion... is meeting the immediate needs of a person, family, church, or community. Things like hunger, urgent medical needs, malnutrition, shelter, clothing, etc. are needs that when met will immediately help turn a difficult situation around. RMI’s Food For Health, Feed2 Program, Homes for Haiti, Water For Health water filters, etc., are just a few of the ways some of these needs can be met. Education/Leadership Development... is the one main way for someone to work themselves out of poverty. Our Hope for Kidz Child Sponsorship Program is a great way to bring a Christian education into the life of a child that had no hope of an education. Other training includes leadership training, small business seminars, ministry retreats, administrative seminars, and the list continues. Learning is something that should never stop, but most Haitians have not had the opportunity to learn even the most basic things. Your people have so much to offer on so many relevant subjects. What a great way to engage them in what God is doing in Haiti. Community Development... is the last of our impact points. These projects and programs tend to be more community oriented, and often larger projects. They deal with how life is lived and how to improve on it such as what can they do to be better stewards of their business, small farms, the environment, their animals, and their families. Our “Goats for Haiti” program is one such way your congregation can get involved. There are so many different needs that can be met by enabling your people to be a part of the solution. This holistic, comprehensive approach will enable you to engage your whole church in time through these “five points of impact” enabling long-term strategic impact. RMI will enables your partnership to see long-term transformation spiritually, socially, economically, and physically both in your national church partner, their community, as well as have lasting impact on your church and body. The end result of this strategy is that it will enable your church to become the hands and feet of Jesus in the midst of another culture. For more information on how you can become a C3 Partner, contact RMI at info@rmibridge.org.